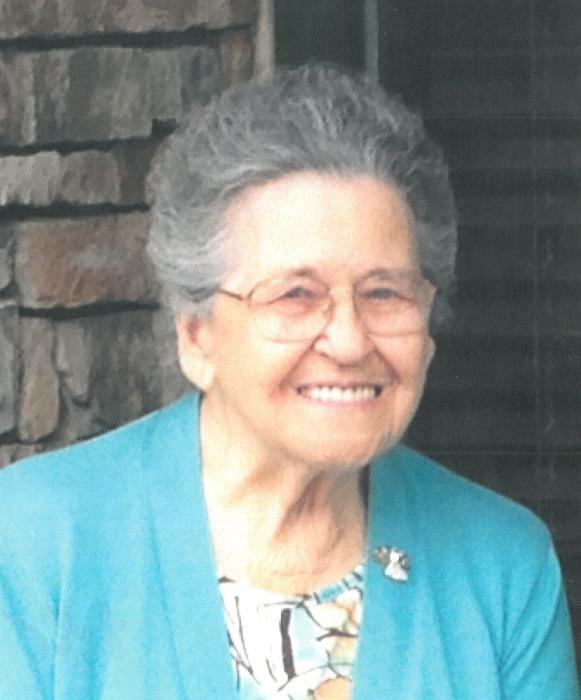 Naomi Preston Colegrove Morrison 92, of Greenup County went to be with the Lord on Wednesday, November 21, 2018 at Trinity Station in Flatwoods KY.
She was born in Goody Kentucky on December 7, 1925 a daughter of Rutherford Bernard “R.B.” & Martelia Salyers Preston. She was a member the Mt. Olivet Old Regular Baptist Church, a cook at Greysbranch Elementary for 35 years. She loved her family, travel and cook. She was preceded in death along with her parents by two husbands, Howard Douglas Colegrove and Paul Morrison; a daughter, Donna Gail Howard; a grandson, Ferrell Ricky Howard; eight sisters and four brothers. She is survived by two sons, Harold Douglas Colegrove and his wife Linda of Greenup and Garland “Rick” Colegrove and his wife Connie of Ashland; two daughters, Rita Allen of Wurtland and Brenda Miller and her husband Roger of Greenup; two step sons, Brian Morrison and P.K. Morrison; 13 grandchildren; 29 great grandchildren; 15 great great grandchildren; and a host of nieces, nephews, cousins, extended family and friends. Funeral services will be 1:00 PM Saturday, November 24, 2018 at Wright’s Funeral Home in Greenup KY by Elders John Paul Clark, John Wayne White and Edwin Hay. Burial will follow in the Preston Cemetery on Greenup KY.
Visitation will be from 11:00 AM till the time of the service on Saturday. The family would like to thank the staff at Trinity Station for their loving care and kindness.